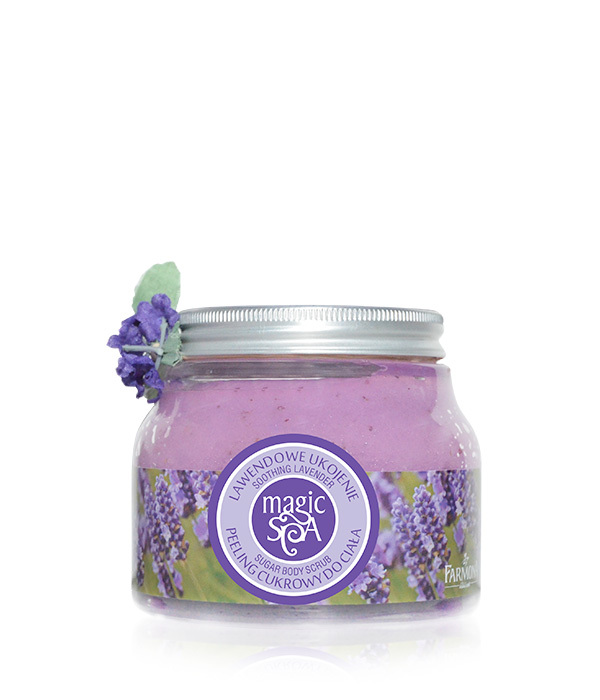 Sugar crystals in Sugar Body Scrub with natural lavender oil intensively exfoliate dead skin and perfectly smooth the body. The skin becomes extremely smooth, silky soft and moisturized. 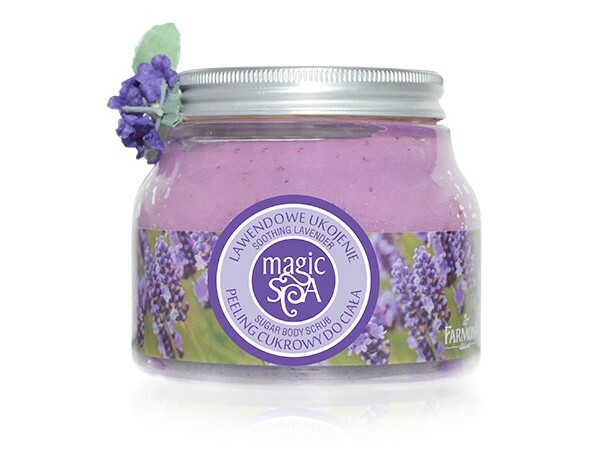 The unique composition of lavender from Provence enfolds with pleasant fragrance, allows to restore peace and inner balance. Apply a small amount of peeling to damp skin, gently massage, rinse. Use 1-2 times a week. Perfect for dry and normal skin. Paraffinum Liquidum (Mineral Oil), Sucrose, Sodium Chloride, Petrolatum, PEG-40 Hydrogenated Castor Oil, Ethylhexyl Stearate, Silica, Lavandula Angustifolia (Lavender) Oil, Macadamia Ternifolia Shell Powder, Butyrospermum Parkii (Shea) Butter, Phenoxyethanol, Ethylhexylglycerin, BHA, Parfum (Fragrance), Linalool, Limonene, Coumarin, Butylphenyl Methylpropional, CI 45100, CI 42090.